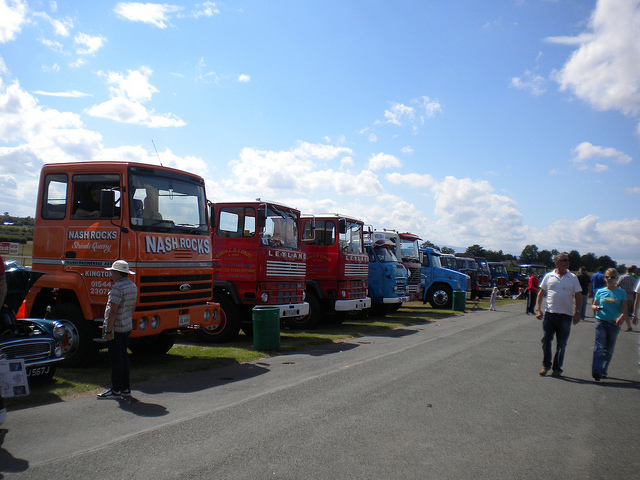 Keltruck Ltd attended this year’s Hereford Truck Show on Sunday 21st August at the Hereford Race Course, organised by Andy Powell Commercials. 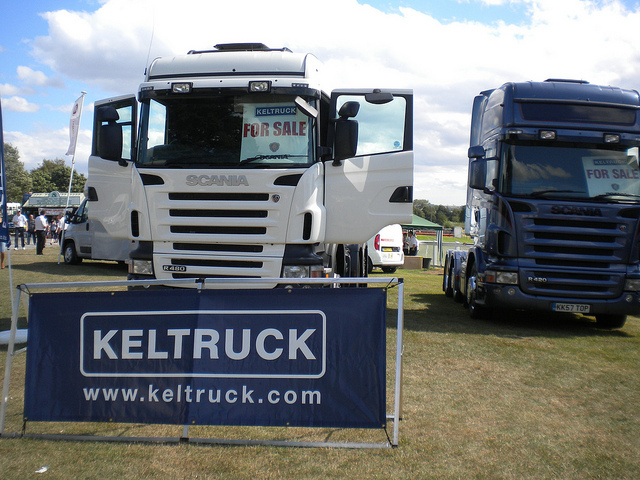 Joining 200+ exhibitors, this year’s event saw Keltruck standing proud for the first time, supported by a used vehicle display, a vintage truck and demo vehicle and recently supplied Scania R445LA6X2/2 MNA Highline to Robinsons of Worcester. 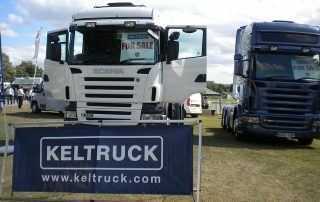 Andy Powell Commercials would like to welcome back Keltruck for the 2012 event. Hosting Keltruck’s stand were Tony Biddlestone, Keltruck New Sales Account Manager for the Herefordshire area, John & Ginette Maiden of Keltruck’s Business Development and Recycling team and Charlotte Brew, Keltruck’s Marketing Executive and Chairman, Chris Kelly’s, secretary. 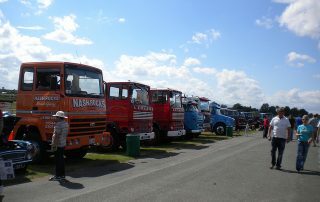 Visitors and fellow exhibitors enjoyed the tremendous weather and relished in the day’s fun filled activities including the Vintage Truck competition where Keltruck’s Scania LB81HS31 4X2 Tractor unit (pictured below/ left) won the “Best Vintage Truck” award, beating 30+ vintage competitors. 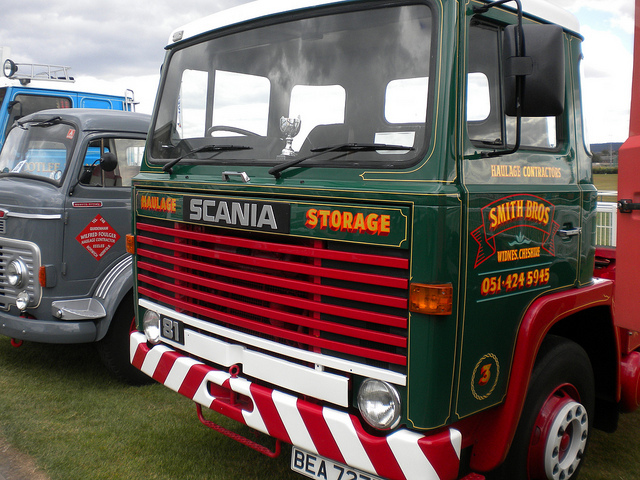 The vehicle still shows off its original paintwork for Smith Brothers Services of Cheshire, a used commercial vehicles specialist established in 1969. The vehicle was purchased and is owned today by Chris Kelly, Founder & Chairman of Keltruck Ltd.
Successes flourished throughout the day as prizes for “Best Scania” sponsored by Keltruck Ltd were awarded to Russell Transport, of Cardiff, who came 1st place, followed by Countrywide Farmers who won 4th place with their vehicle supplied by Keltruck. 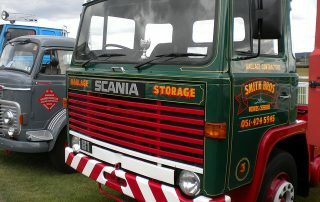 Keltruck also had the opportunity to meet and greet a recently acquired Recycling customer, John & Irene Anderson, who recently purchased a front bumper for their Scania. 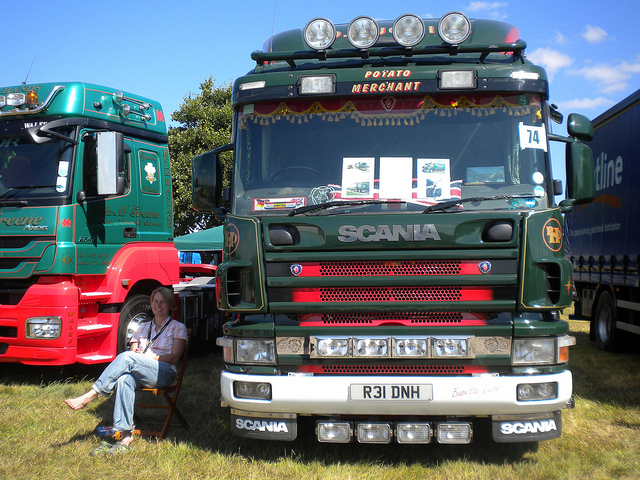 The vehicle, which is owned and driven by Irene (pictured below), was purchased purely to engorge in their passion and love for Scania’s. 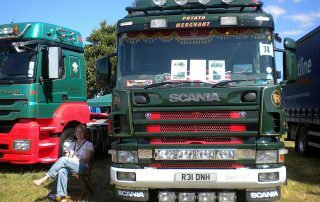 Andrew Powell, organiser of Hereford Truck Show, commented that he was “thrilled by another great event” and that he is “pleased that it helps such a good cause”. 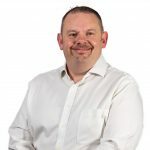 Andrew praised the event and has thanked all of the visitors and exhibitors who have helped to raise in excess of £5,000 which will be donated to West Midlands Air Ambulance. Successes continued after the event as Tony Biddlestone was sat in front of his new customer, Mark Morgan of MRM Transport, who signed for his new G480LA6X2/2 MNA highline the following morning as a result of Keltruck’s attendance at the show. The vehicle will be supplied to the customer with a 2 year Repair & Maintenance contract and will be maintained at Keltruck’s Ross on Wye branch; that along with Caldicot, Cardiff and Cross Hands, was acquired by Keltruck Ltd from Silurian Scania in January this year.